Paul Bakibinga travels to Jerusalem and Tel Aviv to explore the lives and experiences of people from three different communities. Paul Bakibinga travels to Jerusalem and Tel Aviv to explore the lives and experiences of people from three different African communities. Mahmoud Salamat takes Paul around the narrow alleyways of the old city of Jerusalem to the hidden African quarter and introduces a small but close-knit community, who are descendants of Muslim pilgrims or soldiers who came to the Holy Land during the time of the British Mandate. Paul also explores the experiences of different Ethiopian Jews who have returned to their ancient homeland, including rising star musician Ester Rada. 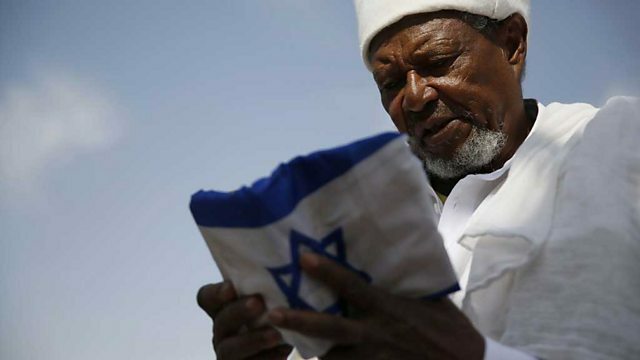 And he spends time in South Tel Aviv, where the bulk of African asylum-seekers live – stuck in a legal limbo amid growing hostility from politicians and local residents. The state cannot deport them – but neither will it grant them refugee status.